Xiaomi has released the latest update MIUI 10 worldwide. But here's the rundown of this full update, in which we covered the Top MIUI features, supported devices for this update, and also the download and installation process. As you know, almost all Xiaomi devices have an Android-based MIUI operating system. This MIUI operating system gives the user some great features and many customization options. In this update, they now focus more on performance, AI compatibility, portrait mode, the new Android P-based gestures, volume controls, and notification levels. Xiaomi has already introduced a global beta update for the selected devices. The new Mi 8 is already coming out of the box with MIUI 10. Here are some interesting features we'll see on Xiaomi's latest MIUI 10 Android-based operating system. The new MIUI developers have redesigned the user interface of this new ROM. The new menu "Recent " now shows the current apps in the lines of Verticle 2 with a thumbnails of the tasks currently performed. You can swipe right to delete the current task, press long to get the app lock, app information and split screen options. Xioami is now really focused on the AR in MIUI ROM and the upcoming devices. There is now the AI to reduce the loading times of apps and the user interface. The AI Preload analyzes the use of certain apps and is pre-loaded to optimize the user experience. We are already aware of the gestures from MIUI 9.5 update. 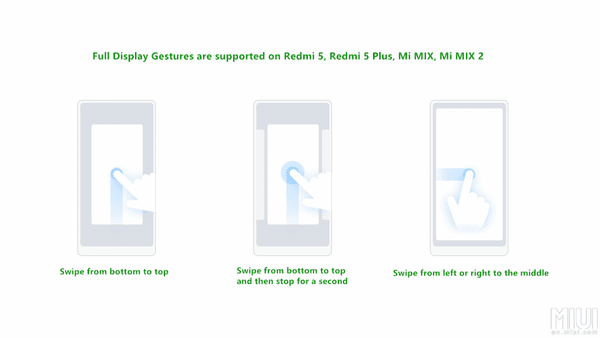 Now Xiaomi has implemented some more full-screen gestures in this latest update. However, this is not available for older Xiaomi devices. In the world of 18:9 displays, these gestures work very well. These gestures allow you to remove these traditional navigation buttons. The user can swipe down to get to the home screen. To get to the last menu, swipe down from the bottom and hold down the button. If you want to go back to the previous page, you can simply swipe from the left or right edge. Supported devices: Mi Mix/Mix 2/Redmi 5/Redmi 5 Plus/Redmi Note 5/Redmi Note 5/Redmi Note 5 Pro and upcoming full screen devices. 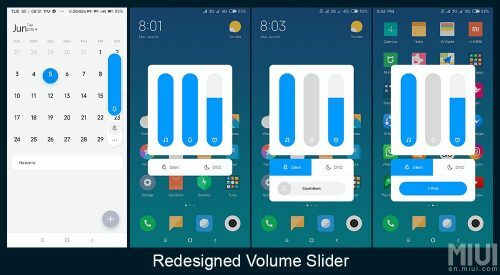 I think Xiaomi was inspired by iOS & Android P to design the volume controls. The volume controls for volume are now designed vertically, as Android P now does. Pressing any volume button shows the volume controller at the right edge of the phone screen. You can now mute your device at the touch of a button. Under the silent button, tap three points to view the full volume menu. The new volume controller now has volume control for media, ringtones and alarm, as well as the options for silencing and the call sound. Tapping the Silent/DND button shows the schedule option for it. You can swipe horizontally to adjust time to your needs. Each vendor is increasingly focused on AI technology. As you know, we need a double camera to capture stunning images in Portrait mode. This shot provides us with some excellent portrait shots with a bokeh effect. But every Xiaomi smartphone doesn't have a dual camera and there are plenty of Xiaomi devices that have a single camera. 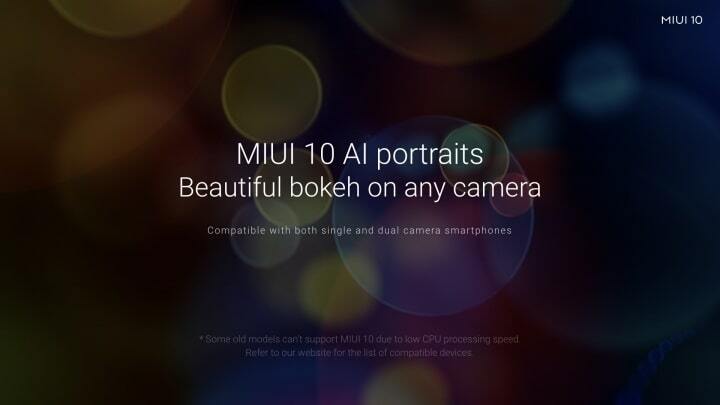 Thanks to AI Powered MIUI 10, they can now also take portrait photos. This is possible because Xiaomi's new AI Based Capturing technology is built into the new MIUI 10 operating system. The MIUI Forum thread provides more information about this feature and the list of supported devices. Below is a list of eligible devices for this MIUI 10 update. Xiaomi Mi Series phones-Mi 8 (run out of box), Mi 6, Mi 6x, Mi 5, Mi 5s, Mi 5s Plus, Mi 4, Mi 4s, Mi 3, Mi 4C, Mi Mix, Mi Mix 2, Mi Mix 2S, Mi Note 2, Mi Note 3, Mi Max, Mi Max 2 , Wed Pad. Teleficons of the Xiaomi Recoms series-Redmi Note 3/Pro, Redmi Note 4/4X, Redmi Note 5/5 Pro, Redmi Note 5A, Redmi 6, Redmi 5/5A, Redmi 4/4X/4A, Redmi 3/3s/3S Prime. These are the phones that get this update. Xiaomi is slowly pushing this update onto select devices. You can still try the MIUI 10 by becoming a beta test of this ROM. This is the most important update of Xiaomi to its users. They offer some great features, customization options and performance in this new MIUI 10. So, this was a quick rundown of the MIUI 10 features. We also mentioned the list of eligible devices for updating MIUI 10 and the guide to installing MIUI 10 on your Xiaomi device. Xiaomi may add some new features in the upcoming updates, but until then this is a good deal for the MIUI lovers. If you have questions about MIUI 10, you can check the comment section. 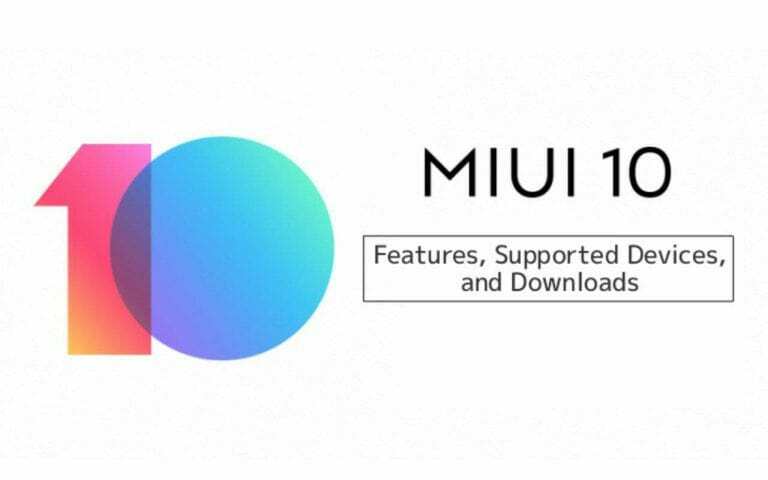 0 Response to "√ List of Features, Supported Devices & Downloads for MIUI 10"